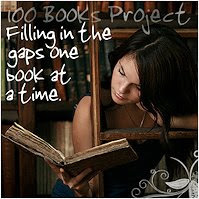 A second challenge list is posted here Hosted by The Fill in the Gaps 100 Project, linked to the title of the post. There is a 25% "ditch rate" so that's 15 books per year and just over one per month. I think I can do this. Besides most of these books are sitting on my shelves calling my name. It's interesting where people find their gaps. Because I read only classics for years, much of my gaps come from modern books. I think my totals on my list ended up being 50/50 classics and modern. The modern non-YA books are the hardest for me to read. Amanda - I have read very few classic in the past. Many of those I have read have been so boring and a few I can't even remember. I also took a long,long break of not reading at all. I will have to check out your list again on goodreads and your blog. Is either comprehensive? I've read quite a few of these, but it's a good list of quality books. Thanks Logan - It will be interesting to get your comments, input, and thoughts when I post my reviews of those specific books. I have only started up reading actively again in the last couple of years so I've missed out. It will be interesting to see how many I can actually get through. I am a horrible "ditcher". Thanks so much Jessica! I now have 3 awards! Now I'm going to have to do a triple post. Expect an award coming your way soon. My plan is to write a review of each of these books as I read them.